Vancouver, BC – The International Association of Golf Tour Operators (IAGTO) has selected British Columbia as the “2007 Golf Destination of the Year” for North America at the IAGTO Awards, held as a part of the 9th annual International Golf Travel Market in Marbella, Spain. This evening’s awards ceremony will be attended by major golf tour operators and golf travel media from around the world. Votes for these awards were cast by IAGTO’s 260 golf tour operators from 40 different countries. Each operator was asked to nominate what they considered to be the best performing golf destinations this year according to their clients. A winner was named in five regional categories: North America; Latin America and Caribbean; Europe; Africa and Gulf States and Asia and Australasia. 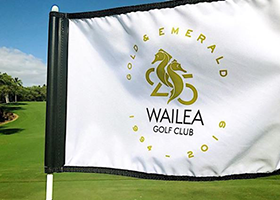 Criteria for the Award included: customer satisfaction, quality of golf courses and accommodation, value for money, professional conduct of suppliers, support from the local tourism industry and accessibility to tee times. Among the sixteen other destinations nominated for the North American award were Arizona, Florida, Hawaii, Palm Springs and South Carolina. Mexico, Lisbon Golf Coast, South Africa’s Garden Route and China will also be recognized. IAGTO was established in 1997 and is the global trade association of the golf tourism industry. Members include golf tour operators, golf resorts, hotels, golf courses, receptive operators, airlines and tourist boards in more than 70 countries worldwide. One of IAGTO’s most important roles is to encourage private and public sector organizations to work together in the development and promotion of new and existing golf destinations, making them accessible to the widest range of golfers. Tourism British Columbia is a Crown corporation that operates under an industry-led board of directors and is responsible for marketing Super, Natural British Columbia® to the world. For travel information please call 1-800-HelloBC® or visit www.HelloBC.com. For highlights on golf in British Columbia, please visit www.HelloBC.com/golf. Video and photographs available upon request.